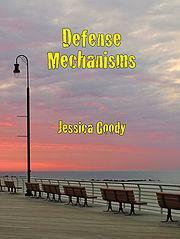 This month, we are once again featuring a few books written by authors published in IVJ. We've also opened an amazon bookstore page where you can purchase these books, and many more, written by our authors. If you have published content in Indiana Voice Journal, and you have a new book out and would like it listed in our bookstore, please let me know and I will add your book to our Bookstore page. 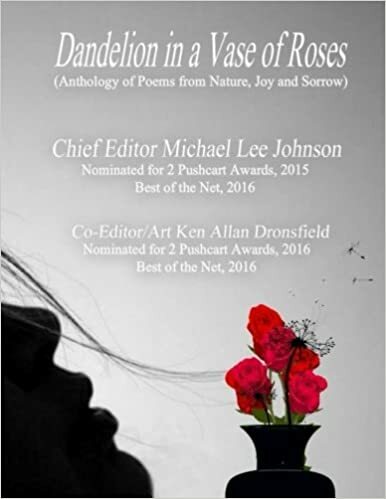 Dandelion in a Vase of Roses, poetry anthology is breaking at the seams, 98 poets, 326 pages, representing 37 different countries and republics from all over the world. It is large 8 ½” x 11" large font size 14 for easy reading, poet photos and many illustrative pictures. It is a loaded anthology combining the best in professional contemporary poets of this day along with new emerging artistic poets. Inside its covers is a combination of Pushcart nominees, winners, Best of the Net such as chief editor Michael Lee Johnson, Janet Kuypers, A.J. Huffman, Joan McNerney, Gary Beck, Joanna M. Weston, Scott Thomas Outlar, Amy S. Pacini, Sandy Sue Benitez, and co-editor Ken Allan Dronsfield and many others. Many of these poets are editors, and publishers themselves. I’m very proud to say most published in this book come from my Facebook poetry group with nearly 12,650 members as of this printing: https://www.facebook.com/groups/807679459328998/. Before Monarchs Flap Their Wings is a compilation of wonderful, uplifting poems, short stories, and essays mostly dealing with the subject of Love, with Love being defined in one of the following two manners: (1) the affectionate concern for the well-being of others or the love of one's neighbor; or (2) the benevolent affection of God for His creatures, or the reverent affection due from them to God. Although spiritual in intent, Before Monarchs Flap Their Wings could also be considered a book with philosophical and scientific overtones. 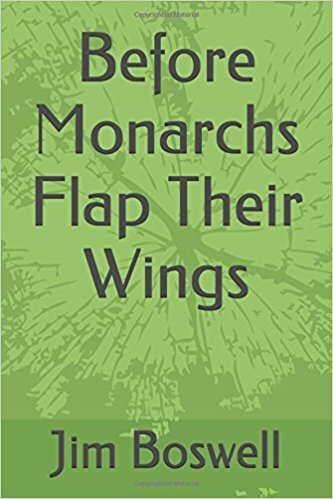 Interlaced with conscious healing and humor, Before Monarchs Flap Their Wings is a magnificent piece of art, written in a language that everyone can understand. Highly observant and deeply moving, the 75 poems in this collection from award-winning poet Jessica Goody utilize themes of difference and affinity to open vistas into the nature of reality. Whether describing the confines of an iron lung or the liberty of the open sea, her nuanced language delivers unforgettable images of a world that holds more questions than answers. There is pain here, and loss, but also joy and freedom in which the fetters of physicality become the means to explore what it means to be fully human. 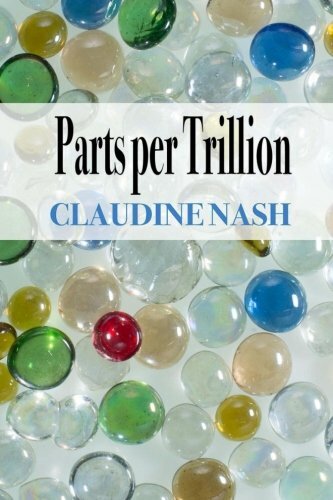 These poems, alert and wry, infused with perception and a generous heart, let us know we are in Claudine Nash territory. Navigating the uncertain terrain of loss and healing, Nash explores the interiors of heart and mind with the curiosity of a scientist and a poet’s insistence of honoring the unknown. Parts Per Trillion brims with ghosts and gravity, sea glass and molecules, inviting us to take on a new name and a stranger’s daring, to become “old-school gangsters” tossing careworn concerns off a pier. These poems take signs and portents seriously, deciding that wonder is a necessity as they ask us to break free of certainties and redefine what is plausible and possible. Giving us permission to forget what we know in the name of resilience and hope, this is language that claims the worth of each moment even when the evidence might suggest otherwise. Susan Moorhead, Author of The Night Ghost. 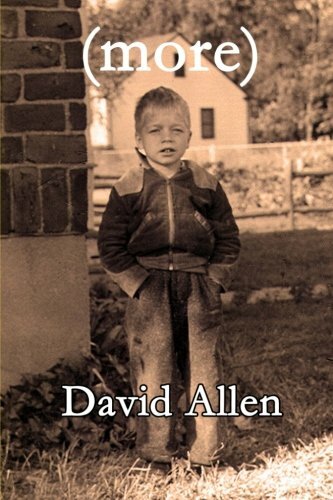 (more) is a continuation of David Allen’s first book of poetry, The Story So Far, published in 2004 by Writer’s Ink Press. The poems span his lifetime and publication in numerous small magazines, websites and open mic events. Most of them are stories, a sharing of his experiences as a sailor, student and holder of a dozen odd jobs before starting his 36-year career in journalism in 1974.